It was a day of musical magic at Earls Hall as the upstairs hall was full to the brim with proud parents and other family members, eager to see an afternoon of singing and instrument playing. 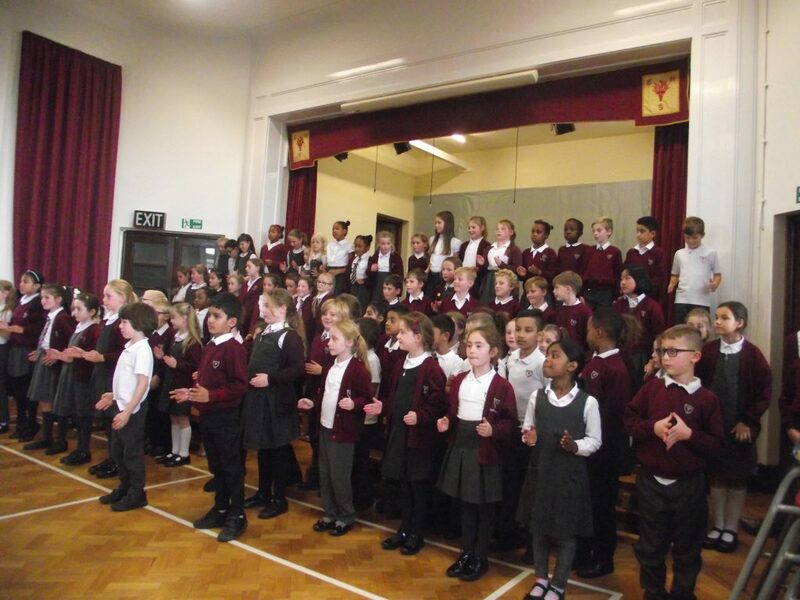 Our first ‘Music Review’ of the year saw our timbrel group take to the stage, Mrs Thompson lead the Year Three & Four choir through a series of fantastic songs and Mr Thompson introduce some of our pianists to the audience who all played beautifully. It was wonderful to see so much talent in the hall. Well done to all of the performers, we are proud of you! Meanwhile a group of bright mathematicians joined the lovely Mrs Collins at ‘Explore Learn’ where they represented Earls Hall at this years ‘National Young Mathematicians Awards’. The children were set a series of complex maths challenges which they had to tackle as part of a team against ten other schools from across the town. The children were a credit to the school and will find out if they have qualified for the second round in due course. Well done children, we are proud of you! Elsewhere, throughout the school, the children continued to investigate the events of WW1 , which was also the theme of Mrs Creak’s KS2 assembly, and also made their poppies. In the Foundation Stage the children investigated Diwali in various ways and the festival was also the theme of the KS1 assembly Miss Scarlett delivered.